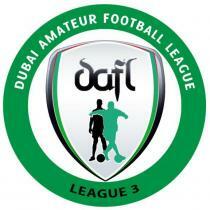 No matter what your interest, the Dubai Amateur Football League has football for YOU. Activations, CSR, Brand Exposure, Involvement in Local Sport. platform on which to do so. New Player? Competitive or Social, Adult, Vets, or Casual? Adult 11 a side, 7 a side and casual games. Team Managers - Want to Enter your team into a League? Coach, Manage, or Referee If you have skills off the pitch, we can use them. Our leagues wouldn't be anything without the people that referee our games, and coach & manage our teams. Coaches, Managers and Referee Want to get involved?